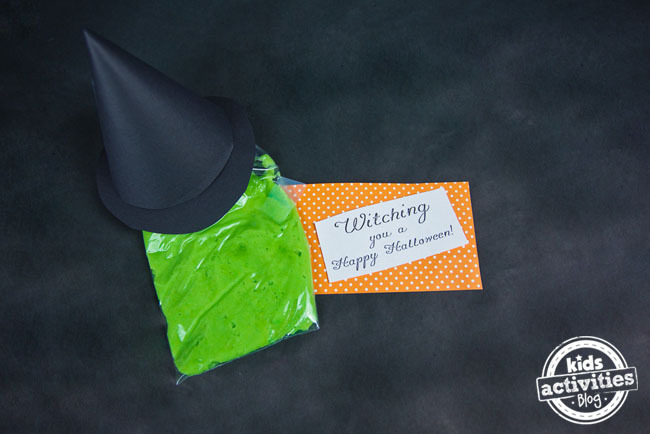 This adorable Halloween activity is perfect for not-so-scary kid fun. Let’s play with play doh at home or give these no-candy treats that kids can make at home. 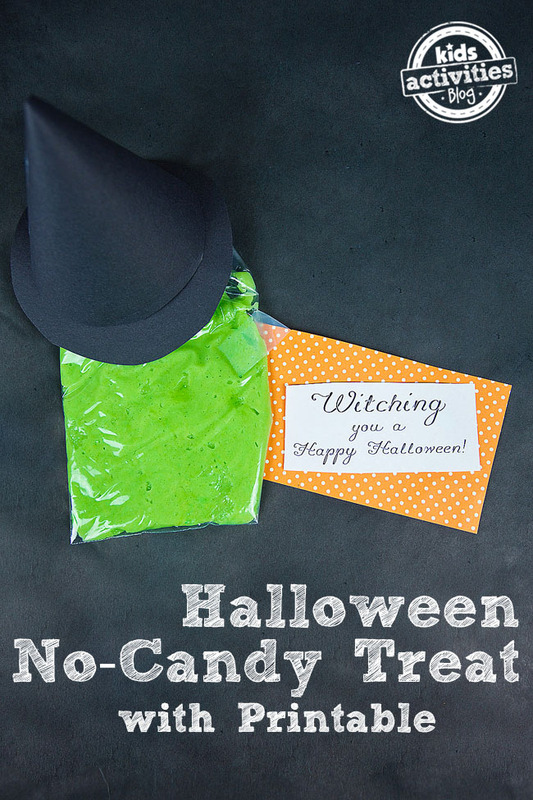 Here’s another great alternative to Halloween candy! This sure is a cute witch Halloween treat that your kids will enjoy for weeks after October 31st. I love to give practical gifts. It brings joy to my heart when I hear a friend tell me how they are still using a gift we made them! Makes it all worth it. Well, this won’t last forever but it sure won’t be gone in a matter of seconds like candy will. What got me started on this craft was this fun pumpkin play dough craft. I used jars to make pumpkins and filled them with delicious smelling pumpkin play dough to go in it. I was on a roll with making play dough so I also made some lime jell-o play dough in hopes to incorporate it into a fun activity. Place your play dough in a baggie and flatten it out. 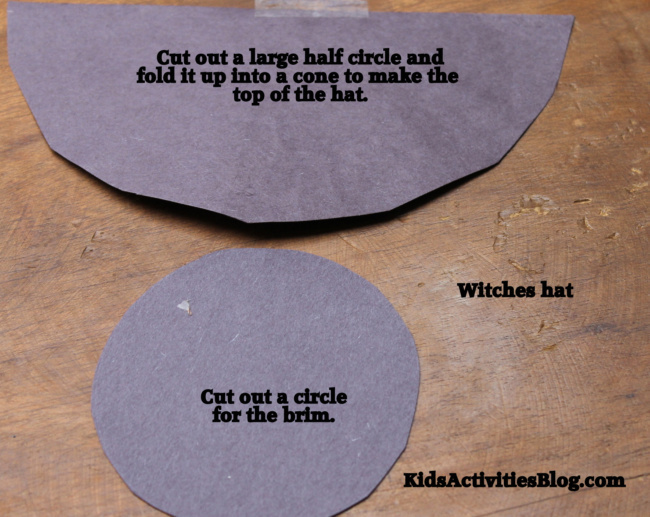 Make the hat using black construction paper. Glue both pieces and tape over your green jello play dough. 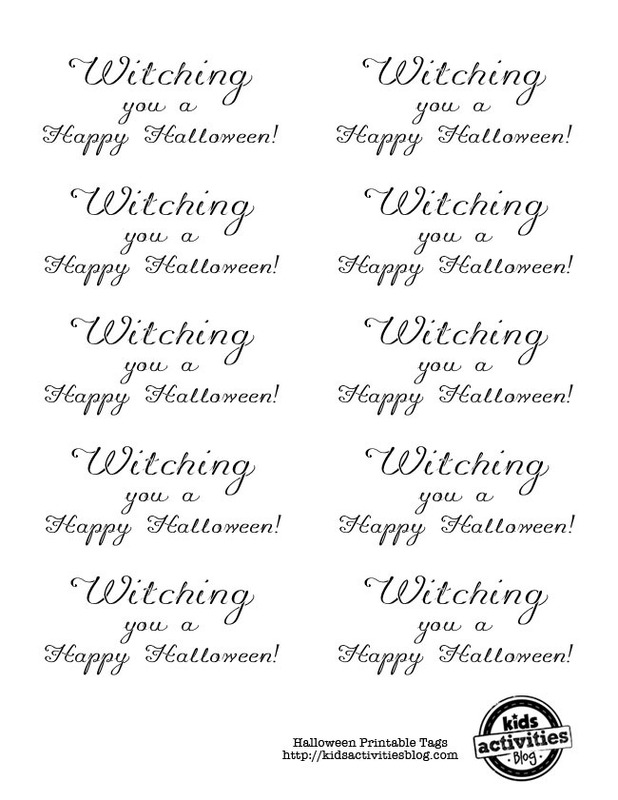 Add your cute little note “Witching You A Happy Halloween!” on a some fun paper and tape to the inside of the hat. Click here to download this free printable. We will definitely be making more of these for my son’s class. The little ones will love such a practical gift and the parents will be happy that it’s not more sugar! Thanks so much for playing with us today. We hope that this Halloween activity inspires you to play with play dough or make a homemade gift to give as a Halloween treat. Previous Post: « This Is ‘Believe’ From Polar Express, The Way You’ve Always Wanted To Hear It!